You don't have to go to the cell phone store to get your next cell phone. Just browse our thousand of used and refurbished phones sorted by carrier and manufacturer, find the phone that you want, and it will be at your doorstep within a few days. All of our phones are sold with no contract and are guaranteed to activate with your current carrier. 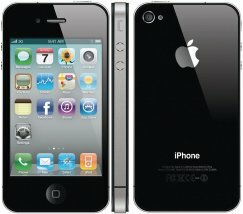 We carry Buy Cell Phones Used deals from as low as $14.95 up to $404.99 and everything in between. We have the most basic Nokia 6010 all the way up the latest and greatest iPhone. Activating your next used phone and syncing it to your current provider is more simple than paying your bills online. Once your new phone arrives in the mail or by Fedex, it takes about 5 minutes before it's active and making calls. We're positive that you'll purchase a phone at Cellular Country that fits your lifestyle. We can answer any questions while you're searching and browsing for your next phone.